If your family lost its main source of income because of an unexpected disability or illness, collecting Social Security disability (SSD) benefits can be crucial for both you and your loved ones; however, as up to 60% of first-time applicants will be denied, recovering these benefits without the assistance of an attorney can be tricky. We have seen an unfortunate trend in which applicants do not follow through and appeal a denial—giving up any chance of recovering benefits. With the assistance of an experienced Social Security disability attorney, your chances of successfully appealing a denied claim—or recovering benefits with your initial claim—can increase tremendously. You may think winning Social Security Disability benefits is easy. Unfortunately, it’s often a very frustrating process. Ann wants to make the Social Security Disability process as easy as possible for you. With over 100 years of combined experience in Social Security Disability law, our team will use their knowledge and experience to help you get the benefits you deserve. Ann is local to Northwest Arkansas and helps the people in our community get benefits on a daily basis. Call now to schedule a same-day or next-day appointment to start your claim. No matter whether you need to apply or if you were denied, we can help you. 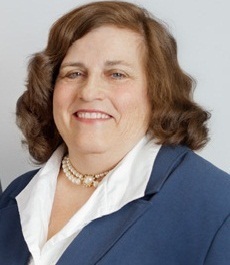 Ann has been practicing law since 1978, with a sole emphasis on Social Security claimants since 2005. Social Security/Disability can be very confusing. We have answered some frequent questions that we are asked. Call, email, or visit our office to setup an appointment with one of our knowledgeable team members. Licensed in State and Federal Courts. Represents clients at the administrative, hearing, and appeal council levels in Arkansas, Louisiana, Oklahoma, and Missouri. If necessary will appeal to federal district court. Has been representing Social Security claimants since 1978, with a sole emphasis on social security claimants since 2005. My staff has 60 years combined experience advocating for claimants with Social Security claims. We are experienced in all levels of assisting claimants and assist them in preparing their initial claims, necessary forms requested by social security administration, acquiring medical records, and preparing them for hearings. We thrive on the teamwork involved in helping claimants receive their benefits. We enjoy helping claimants from the initial claim through each necessary step that follows including federal district court. Our staff has assisted claimants in receiving over $6,000,000 in past due benefits. We take you from the beginning to winning, and if we don’t win your case, there is no fee! You may be entitled to receive Past Due Benefits, Future Benefits and Health Care Benefits. You must have been disabled for twelve months or be expected to be disabled for twelve months. You must have worked approximately 5 full years out of the past 10 years. Your disability may be physical, mental/emotional or a combination of these. This is an insurance benefit paid to those who have been paying into the Social Security System. Net worth and most household income will not prevent you from receiving Social Security Disability or affect the amount of your benefits. This program is for the very young, elderly, blind, or disabled, even if you have never worked. You must prove that you are disabled, or will be unable to work for at least 12 months. You cannot have more than $2,000 ( if single), or $3,000 ( for married couple) in liquid assets, or own more than one home. If there is household income it can reduce or eliminate the amount of this benefit. The Hearing level before an administrative law judge, which we attend with you. We prefer to begin with the initial application and assist people throughout all levels. An appeal to the Appeals Council (where any Unfavorable Decision by the administrative law judge may be overturned), and an appeal to Federal District Court. There is a fee structure that we operate under which is set by federal statute: That structure allows us a fee if we win your case. When we win your case, we are allowed a fee of 25% of your potential past due benefits, up to a maximum fee of $6,000. If we win your case and we have had to pay out of pocket expenses to obtain medical records, you will reimburse us for those expenses when you start receiving payments. If you are drawing unemployment compensation and/or workers compensation benefits those will reduce the amount of benefits you could potentially receive. Unemployment compensation could prevent you from receiving any past due benefits but would not prevent you being awarded benefits. We service clients in all of Northwest Arkansas.